"When I knew who she was I said, 'Jayme, you’re really only an hour and a half or so from home, if that gives you some perspective.' Because she had no idea where she was." GORDON, Wis. — Kristin Kasinskas was just getting home from work around 4 p.m. Thursday. Suddenly, her neighbor came up to her door in the Eau Claire Acres development outside Gordon, Wisconsin, threw open the door and delivered a bombshell. "She kind of flung the door open and said, 'Call 911, this is Jayme Closs!'" Kasinskas told KARE 11. Next to her neighbor, Kasinskas said, stood a young girl. She was a bit disheveled but immediately recognizable. "I knew it was her the second she walked in the door," Kasinskas said. 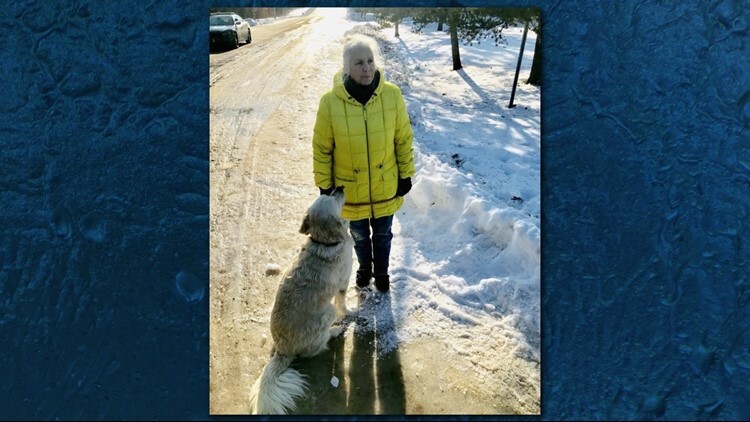 Jeanne Nutter was taking her dog for a walk when a thin, disheveled girl came up and told her she was Jayme Closs. "I was at the right place at the right time." 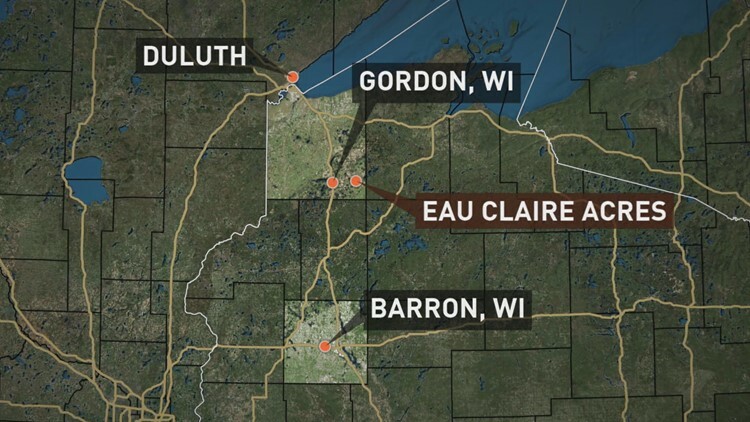 Standing on her front steps was 13-year-old Jayme Closs, who had been missing since Oct. 15, 2018, when her parents were found murdered in their Barron, Wisconsin home. Kasinskas said she brought the "slender-looking" girl into her living room and sat down with her. She recalls that Jayme looked thinner "than her photograph" and tired. "A little unkempt, but OK over all," she said. Jayme had walked up to Jeanne Nutter while Nutter was out for a walk with her dog. "She just said, 'I’m lost, I don’t know where I am,'" Nutter recalled. "She said 'I don’t know where I am' a couple of times." Nutter told Jayme she was in Gordon, Wisconsin. "It is crazy," Nutter said. "I was at the right place at the right time." Nutter brought Jayme to Kasinskas, who said she called 911 immediately and waited for the local police to arrive. "It took maybe a half-hour for the police to get here," she said. It was a 30-minute chance to sit with the child authorities and concerned community members have been looking for for months. Kasinskas said Jayme didn't give them too many details as to what happened during her three months as a captive, but she did make it clear that she was taken. "She didn't express any fear, fear," Kasinskas said. "She didn't say that she was afraid this person was coming after her." Jayme did tell Kasinskas that she was being kept in the Eau Claire Acres neighborhood - just a few houses down from the teacher's home. Kasinskas says she doesn't really know Patterson even though he lives three doors down from her. She had the suspect in class in middle school science, but only remembers that he was quiet. Kasinskas also told KARE 11's Danny Spewak that Jayme said somebody had killed her parents. Kasinskas, a teacher in the Northwood School District, said she was aware of the traumatic background surrounding the disappearance. Jayme's parents, James and Denise Closs, were found dead the same day that Jayme went missing. "We kind of just talked with her, nothing too specific about what was happening," Kasinskas said. She asked Jayme if she knew where Gordon, Wisconsin was. Jayme said no. 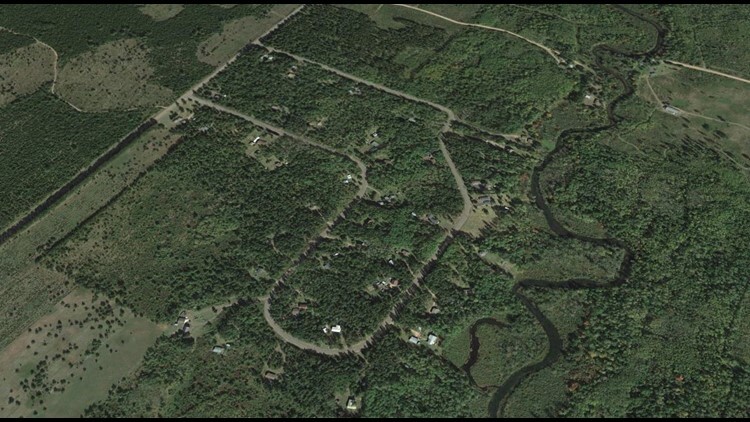 The Eau Claire Acres home development about six miles east of Gordon on Highway Y, according to the board chairman from the Town of Gordon. The development is made up of a small looped street called Eau Claire Acres Circle. Eau Claire Acres Circle in Gordon, WI from Google Earth. Kasniskas said she doesn't know how she and her husband are processing the "hectic" night. "I don't even really know how to describe it, just kind of like the surprise and panic at the same time," she shared. The police took Jayme from the Kasniskas home.